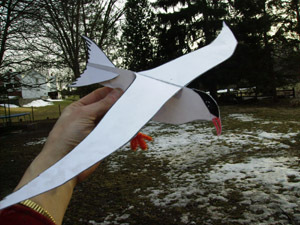 Students cut and assemble an arctic tern, then they use their bird in a role-playing game that simulates the migration of the tern from pole to pole. This activity is designed to be used in a group situation. However, the play could be adapted for home use. For assembly of bird, at least 20 minutes. For role-playing game, 30-45 minutes.